KAABONG – Talking about Kidepo Valley National Park, what strikes many people’s minds are the elephants, Giraffes and other wild animals. However, beyond this, the park is an excellent home for seeing a wide array of common birds and specials, including the sought-after Jackson’s hornbill and endemic Karamoja Apalis. This wide wild natural habitat has created the ideal conditions for the highest diversity of birds and it is the perfect place for you to watch and admire the most beautiful and rare birds – Kidepo valley national park is a bird-watchers’ paradise. The park has two rivers-Kidep and Narus; which disappear in dry seasons leaving just pools which attract rare species of birds that have been attracting hundreds of tourists to the National park. Wake up early in the morning and stand at Apoca rest camp lodge to get a panoramic view of Narus and Namamukweny Valleys, observe the migration of the birds and you will notice hundreds of tourists scrambling to observe the spectacular picturesque of the birds. The Apoka Rest Camp [lodge] and Park Headquarters overlooking southern Narus Valley is a great spot to begin your birding experience and the attractive Silverbird and small bands of Yellow-billed Shrike, frequent the thorn trees around the camp as do a number of other widespread species such as the Vinaceous Dove, Hoopoe, Nubian Woodpecker, Mosque Swallow, the Ruppell’s and Superb Starlings, Scarlet-chested Sunbird, Little Weaver and Red-cheeked Cordon-bleu. A small permanent water hole at the edge of the camp attracts swallows and a variety of seedeaters including the Yellow-rumped Seedeater and is visited at night by the Four-banded Sandgrouse, Elephants, Buffaloes, and occasionally Lions. Clapperton’s Francolin, Black Coucal, African Moustached and the Broad-tailed Warblers, Marsh Tchagra and Crimson-rumped Waxbill may be seen in the rank grass along the normally dry stream bed adjacent to the camp or along the track to Apoka lodge. According to the assistant warden in charge of tourism Mr Stephen Nyadru, Kidepo valley national park is the perfect place for tourists looking for bird watching tours. Mr Nyadru says Kidepo Valley has a very impressive bird list of over 470 species, the second-highest population of any Ugandan reserve, following only Queen Elizabeth National Park. He explained that when it comes to Birding, Kidepo Valley National Game Park stands out, this invaluable natural resource has been visited and revisited and the extra-ordinary features on it shape its outstanding beauty, which remain a myth to those who have not visited it and a secret to those who have visited it. He revealed that the park is planted on rocks, overlooks expansive grassy plains dotted with big rocky outcrops and flanked by steep jagged mountains with the summit ridges of Napore range, Taan hills and Natera hills, part of Nyangea, Morongole and Zuulia forest reserves that attract many birds. He added that the Park consists of shallow valley systems, with a dry mountain terrain; in the South-west is the Narus Valley, bordered by the Napore range to the north-west, South of Kidepo Valley is the Morungola range, north is Mount Lotuke in Sudan. 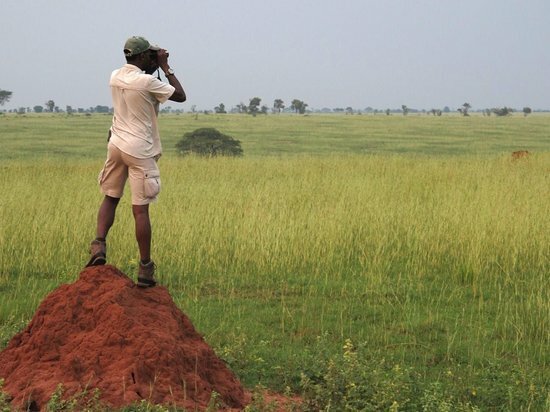 Mr Phillip Akoronymoe, a birder and a local tour guide at Kidepo valley national park said if you are looking to get a feel of nature, but you don’t want to get so far from the touch of birds, go for a nature walk at Kidepo Valley National Park. “Many journalists love coming here to relax, watch the sun set as well as some of the bird species not found anywhere else in Africa,” Mr Akoronymoe said. He explained that more than 60 birds found in Kidepo valley national park haven’t been recorded in any other Ugandan park. “No comprehensive survey has been done, so visitors could easily see some species not previously recorded for the park. Kidepo is especially good for spotting raptors, with 56 species on record. Migratory birds are present throughout the year,” Mr Akoronymoe added. 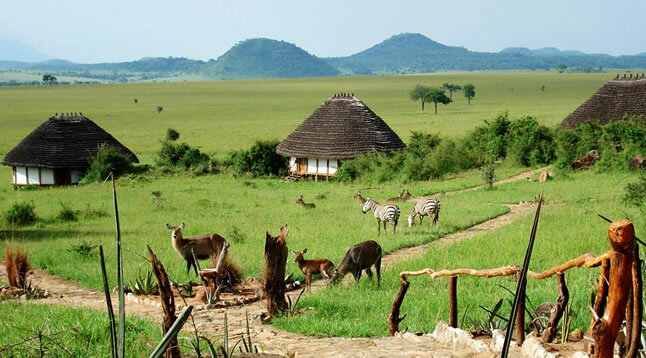 Mr Johnson Masereka, the conservation area manager says Kidepo Valley National Park has 28 species from the Somali-Masai and Sudan–Guinea Savanna biomes and that the species are endemic to this area in the country. “With a record of 470 species in total, the park has the second-highest bird record of any Ugandan protected areas, after Queen Elizabeth National Park. 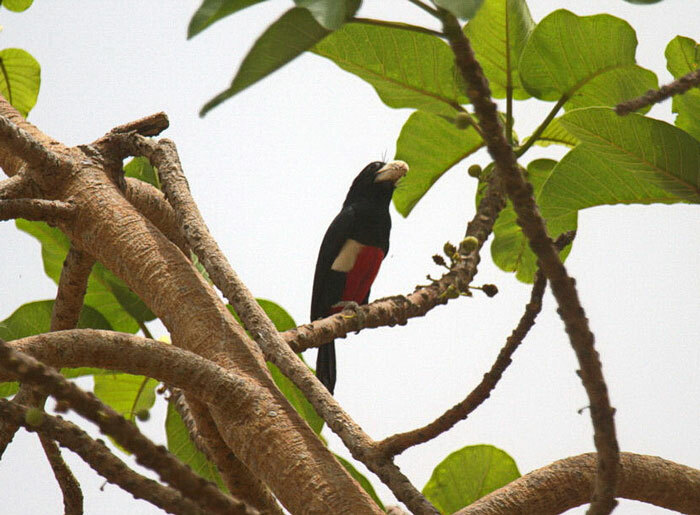 It supports some of the rarest species in Uganda, such as Black-breasted Barbet and Karamoja Apalis,” Mr Masereka said. Mr Masereka said at Kidepo valley national park a rare species of birds are attracted daily that also attract hundreds of tourists to the area and that visitors stand at the panoramic view of Apoca rest camp lodge to observe migration of the birds. When the PML Daily visited the area, hundreds of tourists were waiting to observe the spectacular picturesque of the birds at Apoca lodge. Kidepo valley is quite rich with bird life, some of the birds species include; the Kori bustard, Abyssinian ground hornbill, secretary bird, ostrich, carmine, Yellow-billed and Jackson’s hornbills and these are usually seen in the mornings,” said Mr Akoronymoe. Some of the beautiful birds fly past the Narus valley but they don’t land. It is believed they pass through Turkana before migrating through Uganda to Tanzania. The park’s altitude ranges between 914m and 2,750m above sea level and contains two rivers – Kidepo and Narus. Mr Okoronymoe says Apoka Rest Camp is a great spot to begin your Kidepo birding experience and that birding can also be done on the fringes of the Narus and Namamukweny Valleys. “And among the birds seen are the Abyssinian Roller, Purple Heron, Abyssinian Ground Hornbill and Clapperton’s Francolin, which is found only in Kidepo. The activity can be arranged both in the morning and evening,” Mr Okoronymoe said. 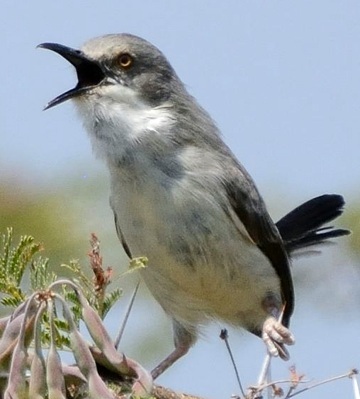 “The birds can be observed from vantage points identified across both Namamukweny Valleys and Narus valleys as they leave the Park,” added Mr Akoronymoe. Mr Akoronymoe says when tourists come, they are taken for the nature walk and that the main reason for nature walks is to help them capture the imagination and creativity of the wild game giving them a particular pursuit. “Tourists end up creating some kind of collection of whatever interests them. They get to make their own guide, booklet, or collection from their discoveries,” said Akoronymoe. “And the best way you can watch birds is to go for a nature walk. Although from the bird species recorded, Kidepo is especially good for Spotting Raptors. Migratory birds are also present from November to April every year,” Akoronymoe said. Mr Akoronymoe says the best time for visits to watch birds are; March-April for all the specials and many transit migrants, although good all year round. He added that a visitor at Kidepo could also wander along the splendid Kidepo Valley river banks and see the attractive Borassus palm forest. One could also meet the Ik tribe during the pre-arranged hikes to Morungole Hills. He explained that the birdlife in Kidepo is good year-round, but at its best from March to April for all the specials and the many migrants and migratory birds are in the valley from November to April. Kidepo Valley has a very impressive bird list of over 480 species, the second-highest population of any Ugandan reserve, following only Queen Elizabeth National Park. -Insects and entomology. Tourists are advised to bring along a magnifying glass, a variety of small vials or containers for collecting samples and a pack or box to hold everything in. -Eco-system nature walks. The nature walk can focus on eco-systems such as tide pools, forests, woods, ponds, rivers, streams, oceans, prairies, or just about any other type of eco-system or sub-system. -Rocks and minerals. Mr Akoronymoe says the ultimate goal is to collect small pieces of a variety of minerals and rocks. -Micro-biology. During the nature walk, you will also explore tide pools, streams, ponds or other water systems like marshes.